Trade show marketing has the potential to be one of the most effective and powerful advertising mediums in your arsenal. With the right resources and technical approach, you could attract a flood of new prospects through exhibiting at trade shows. Businesses from all around the world do it and by the same token your company can benefit too! If you want the best results possible from your marketing efforts, then it’s important to make sure that you have everything set-up right. Going unprepared into a trade show can result in you walking away from the venue empty-handed and, not to mention, feeling dispirited. However, doing it right can mean a wealth of new prospects, leads, and customers. 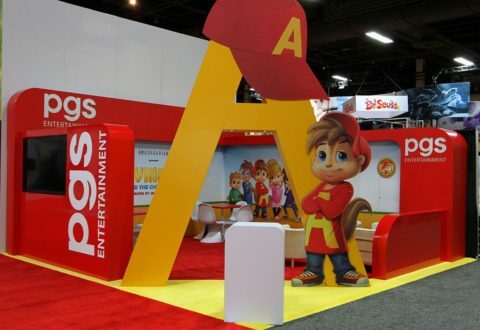 Every element of your display – from the exhibit design to the booth layout functionality and graphics – should represent your business and brand. Additionally they ought to work in harmony to generate the highest possible return on your time and money invested. One of the most critical aspects of any trade show marketing campaign is selecting the right booth. It should provide the best median for your company to project the best image of your brand. As a result it enhances your ability to prospect and sell. The difference between a good trade show display and a bad one can be all the difference between walking away with an abundance of sales and prospects, or leaving the venue frustrated and empty-handed. At Exhibe, we are leading experts at creating effective trade show displays and graphics. We design them with one primary goal in mind – to help your business generate a greater Return on investment from your exhibition efforts. If you’re ready to see just how effective trade shows can be, then Exhibe Corporation has the skills and resources you need to achieve the results you want. We have over 30 years of experience at crafting effective custom trade show booths for customers in a wide variety of industries and niches. All of our trade show display designs and production is also completed in-house. Therefore you get better quality, more flexibility, and faster turnaround time for your exhibit. When you have a complete control of the displays creation process from start to finish, you can rest assured you’ll love the finished product and see great benefits for your business. From pop up displays that are designed with price and portability in mind, through to heavily-customized exhibits with all the bells and whistles you could imagine, we have the skills and experience to work to your budget and requirements. As a result, we create great looking trade show booths that will deliver serious benefits for your business. We can also assist with exhibit rentals, which give you the opportunity to experiment with trade show marketing without needing to commit to purchasing a display. Once you see the effectiveness of this marketing channel for yourself, you’ll undoubtedly want to get a display of your own to keep! So please take your time to browse through our site. 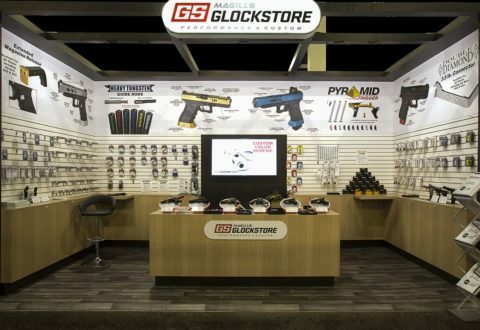 Check out the wide array of trade show display products we have to offer. Exhibe can create a perfect booth for your exhibiting needs and budget. Whether you’re just starting out with trade shows, or a seasoned pro looking to enhance your results even further. Contact our knowledgeable staff today to find out just how effective great trade show displays can be for your business. Exhibe Corp has been an exceptional company to work with. They are very knowledgeable, prompt to respond and professional. Out of the hundreds of vendors I work with, this company is one of my favorites! Exhibe has helped Relax The Back design show booths and banners over the years. They have a great eye for detail and are always looking out for what works for us as a company and has the best visual aspect. Exhibe Corporation gets things done and delivered as promised. I have worked with Exhibe Corporation and in particular Stacey Anderson on many occasions and she always goes above and beyond to ensure that we are always satisfied with the large format printing and trade show services they provide. f your goal is to improve your booth, incorporating modern features is a great way to make a big difference. Any promotional venue is crowded with vast array of booths, but what type of display really caught your eye?